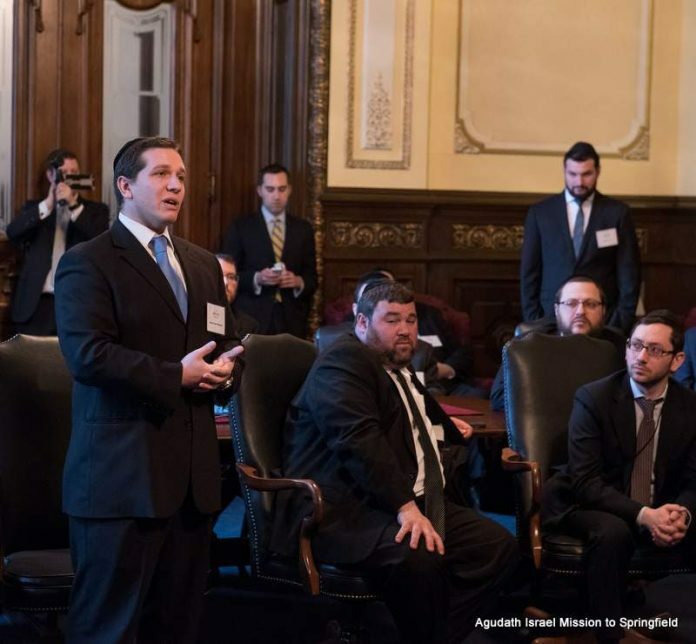 An eleventh hour push by Agudath Israel of Illinois on the final day of the legislative session yielded positive results for members of the Hatzalah Chicago volunteer emergency medical service, with the unanimous passage of a bill banning insurers from hiking their premiums should they be involved in an accident while responding to an emergency call. 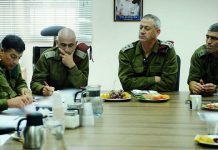 The legislation forbids insurers from raising rates, cancelling policies or refusing renewals to Hatzalah members because of accidents that took place while they were on a call. The new law, an amendment to the Illinois Insurance Code, applies to both automobile insurance and personal umbrella policies and is expected to be signed by Governor Bruce Rauner. The legislation is modeled after a similar law that already exists in New York offering increased protection to its volunteer EMS crews, explained CEO Tzvi Montrose, one of the founders of Hatzalah Chicago, which has 50 first responders, 20 dispatchers and 15 service and board members. “We are constantly looking for ways to protect our members so that they don’t have to be worried that they will be punished or personally impacted by their volunteerism,” said Montrose. The bill was initially sponsored by Representative Lou Lang (D-Skokie) and sponsored by Representatives Peter Breen (R-Lombard), Dan Brady (R-Bloomington), Rep Martin Moylan (D-Des Plaines) and Sara Feigenholtz (D-Chicago) and Senators Kwame Raoul (D-Chicago), Jason Barickman (D-Bloomington), Napoleon Harris III (D-Harvey) and Ira Silverstein (D-Chicago) with the assistance of Speaker of the House Michael Madigan (D-Chicago). kol Hakavod to Hatzalah Chicago! Every time we see you driving through the neighborhood we turn to Shamayim and are Mispallal for a Refuah Shleima to all those that you treat on a daily basis! Continued Hatzlacha on all your dfforts!